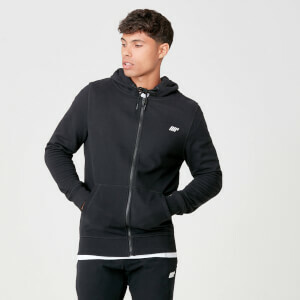 Absolutely love these hoodies, I buy them for my husband in a medium because he’s a medium, but I secretly also buy them because I knick them off him, I like my hoodies a little baggy and comfy for wearing to and around the gym, these are SO comfy and don’t lose their softness after washing either, we’ve been buying them for a while so highly recommend! Female or male! Excellent value for money. Got this at 66% off - no brainer, large fit for me & fittd prefectly. Warm too. Great for the gym. I've bought a few of these hoodies and really can't fault them, I'm 5ft10 and 74 kg and size medium is a perfect fit, they're lightweight and along with their soft feeling inner makes them very comfortable indeed. As always great products from myprotein, looks, fits & feels so comfortable & warm too !! I`m 5/9 slim athletic, 38in chest, I bought a small & it`s bang on for size, slim fitting but not restricting in anyway. You won`t be disappointed !! I purchased the blue 1 previously on a sale and decided to buy another. Very comfy and great value for money. Although I did find the material and colour started to fade after the 3rd wash. Good for the gym and just general casual wear. 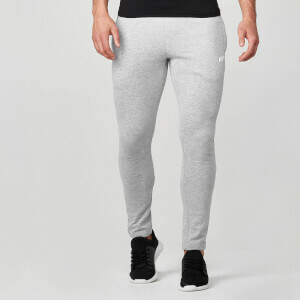 True to size great fit , very soft and warm . This slim fit, soft touch hoodie is perfect! Superb quality and fit at a very good price. Yet another great item from Myprotein!